It’s certainly no fun to discover or detect a leak in your home or arriving home to find your basement flooded. In addition to the obvious problems caused by water leaks but can also cause a number of other problems like mold, bad odors, high water and plumbing repair bills, property damage and other issues that may have been prevented with proactive maintenance if signs of leaks are noticed or confirmed. Identifying potential leaks (leak detection) and by maintaining your existing plumbing system, you can save yourself a lot of loss, headaches and hundreds or even thousands of dollars per year. Replacing old plumbing parts can seem easy but one leak can very often lead to more leaks if the repairs are not done properly by a professional. One of the biggest problems we have seen is of do-it-yourselfers using the wrong parts, this is a common mistake and can certainly cause problems down the road. Another thing to keep in mind, if you have galvanized or polybutylene water lines, we highly recommend upgrading to a pex water system as soon as possible as these have been know to be problematic. Too high water pressure causes to much force. This will wear out your valves and faucets and cause leaking problems. High water pressure will also cause your emergency temperature and pressure relief valve to go off on your water heater. The pressure can be checked and adjusted quite easy. To check your water pressure, all you need is a pressure gauge with hose bib connection and access to your PRV (pressure reducing valve). Just screw the gauge onto your hose bib and turn on the water. Check the meter reading, your pressure should read between 65-75 psi. You can make any adjustments with by screwing the PRV bolt in to increase pressure and out for decrease pressure. Call today for a free pressure test in the Salt Lake Valley at 801.414.7904. Using a licensed plumber is very important. There are many handymen around trying to pass off as plumbers and they often end up installing the plumbing incorrectly. This can often lead to a number of problems and cost you more money. Always ask for a plumbing license and make sure it’s active. You can also check on dopl.utah.gov to verify proper licensing for plumbers. Hot water can be corrosive. This is why there is an anode rod in your water heater. This rod protects the tank from corrosion. By changing your anode rod every 5 years, you can prevent your tank from rotting out and will extend the life of your water heater. Call today for a water heater tune up or free inspection 801.414.7904. It is a good idea to routinely inspect your plumbing, Here are some things you can look for to check for leaks and corrosion in your system. Galvanized Pipe systems are known for corrosion from the inside. When this corrosion happens, it cuts down on water pressure, causes leaks and allows rust into your drinking water. If these are the types of lines you have, we highly recommendation to replace these waterlines. Polybutylene is a gray plastic pipe that was installed mostly in condos, mobile homes and some homes from 1978 to 1995. Unfortunately Polybutylene ended up being a huge disaster and the company ending up going bankrupt do to floods caused by property damage from the product. Extremely high recommendation to replace these water lines as they are certain to leak and detection and source of leak often cannot be found. 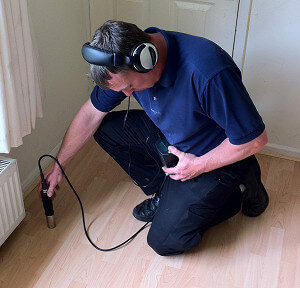 CPVC is easy to install but if not supported properly is susceptible to leaks and breaks. Hot water especially makes cpvc brittle. We highly recommend replacing the system. Copper is a dependable system but is very costly to install in parts and in labor. 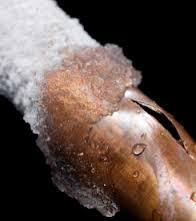 Copper also freezes and splits easily or fittings can come off due to freezing and thawing process. We recommend replacing only if pipe and fittings are corroded. PEX is most common water pipe being used today because it has a low installation cost and is a very dependable system. If you already have PEX in your house consider yourself lucky. Check your toilet tank and listen for running water. 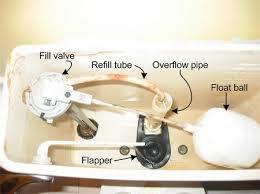 If you hear running water then you need a need flapper or fill valve replacement. Call today for a free toilet inspection. If you think your leak is outside of the, a good place to start is your water main. Simply shut off the water inside at your main water shut-off valve. Then locate the water meter outside, this is often located out by the front parking strip. Remove the cover to check and see if the meter is running. 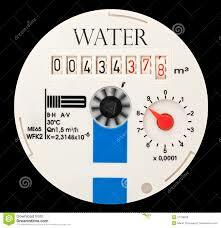 Usually there is a red dial that spins and the numbers will be rotating if the water is running. If the meter is NOT running, then turn on your sprinkler main stop waste with the valves turned off. If the meter runs then your leak is located in your sprinkler system or stop waste valve. Call today for a free water main inspection. UTAH is known for its great snow, but with the cold temperatures, it also comes with a price. Frozen pipes can cause multiple water leaks. Detection these leaks is how we can help you. Water expands when it freezes which then causes pipes to burst and fittings to break loose and come apart. Wrapping the pipes located in cold areas with insulation and heat tape can help prevent freezing. If your house is vacant over the winter, it is highly recommended that you winterize your plumbing. Call today for a free plumbing inspection or winterization. Maintaining your plumbing system is the best way to avoid disasters as well as with our inspection and Leak Detection Services. KEEMER PLUMBING is here to help with all plumbing needs so give us a call and we’ll be right over to your Salt Lake City, Kearns, West Valley, Park City Ut home. Please contact us and help will be on its way ASAP!